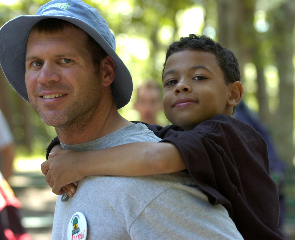 The Adoption and Safe Families Act of 1997 was a milestone in American child welfare. Within three years of passage, the number of children adopted from foster care literally doubled, from 25,000 each year to over 50,000, where it has remained stable for a number of years. Still, we have much work to do. In 2009, nearly 30,000 youth “aged out” of foster or group home care, reaching the age of legal maturity without having the safety, security and love of a permanent parent as they move on with their lives. These youth are disproportionately likely to end up homeless, incarcerated, abusing alcohol and other substances, and pregnant. The inability to adopt children across state lines is critical in large urban areas that straddle state lines such as the New York, Chicago, and Washington, D.C. Barriers to interstate adoption hinder kinship adoption, the preferred option for placement. We are in the midst of the mess you have described in “Interstate Adoption Key Barrier to Foster Care Adoptions”. We moved to NC two years ago, knowing we would be moving to WA within a couple of years (military). We went through the long process of getting qualified with the intent to foster/adopt a sibling pair of teens. We just learned we have to move to WA at end of October, at the same time we just learned we were matched with a beautiful 13 year old girl here in NC. The problem lies in a couple of places – we have to completely redo our homestudy once we get to WA, the NC social workers don’t want to do the interstate paperwork because it takes too much time, and the NC county doesn’t want to pay for another agency in WA to supervise our case – so we may lose the opportunity to give this young lady a family. She is the youngest part of a sibling group and we would love to adopt all three, but now our hands are tied and the siblings will sit until they age out like so many others have. How far along are you in the process of changing the system with your initiatives? And, how can we help expedite these changes? The system as it is now, is further making victims out of children that have already suffered. It is creating a trail of young adults without family support and statistically proven this is increasing the criminal activity/dependency on social services. The system is creating its own future fiscal crisis by not being preemptive and further harming the children it is responsible for. Negligence? Thank you for all your effort and the hard work you are putting toward improving the system. These changes are much needed and I’d like to help you if I can. Incredible! Superbly high quality review. I will be storing your page at once. Thanks!